Original creation product integrated with people-oriented idea gives blood donors a sense of security and confort and alleviate the psychological pressure, makes the whole process easier and enjoyable. 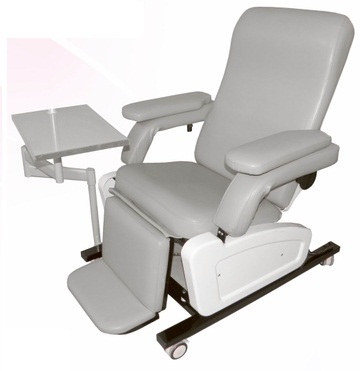 Power control and adjust the rear support position and feet rest position, create a secure and comfortable environment for blood donors. 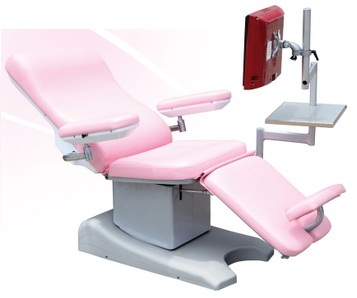 equipped with the automatic control device of automatic shock position, it can well control and adjust the physical discomfort in time. 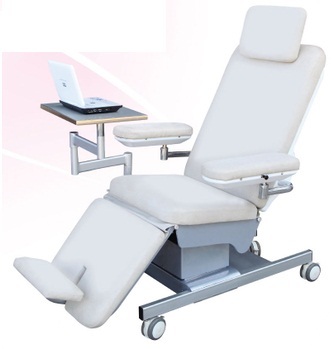 equipped with the multimedia support of curved stretch and the seperate bedside sereo,meets the watching requirement of the lying posture and sleeping position. At the same time it can be connected to cable TV systems. 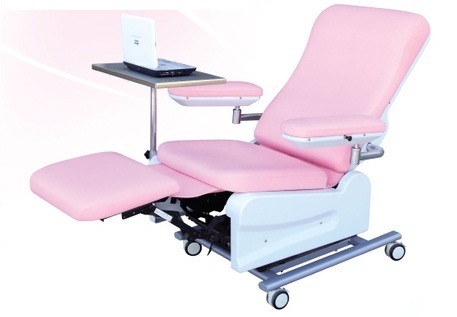 A small table is assembled to the multimedia support, which can put on the laptop and Other items. LED hose-type exclusive reading lamp can be installed in the left side of the back top. The appearance, which is made of high-strength fiber material and poly-layer paint, is artistic,modern, durable and easy to clean. Imported motor makes its running smoothly, low noisy and garantee the chair free of trouble within 10000 times's operation. mattress using a high-quality medical polyurethane foam molding, it is easy to clean and maintain. Its anti-static and anti-fouling properties is superior to other similar products. 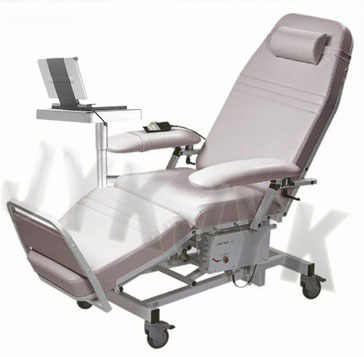 is the optimal choice of the blood station, centers and blood donation housing.